We have previously discussed taking care of ropes, but, how long should these ropes even be? As previously mentioned, ropes are an essential element of your rigging system, and optimising your running rigging lengths is important. 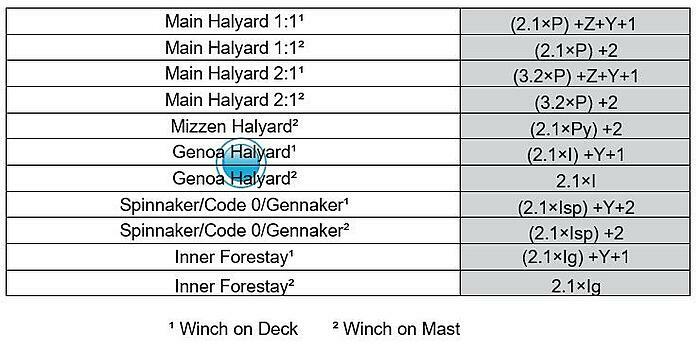 Why is it imperative to have the correct lengths for sheets and halyards? 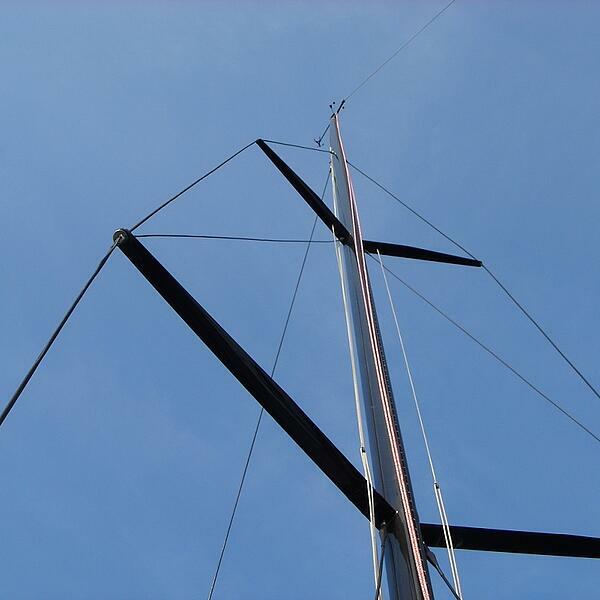 Obviously, too short a sheet or halyard does not get you anywhere. A rope that is too long increases the chances of getting tangled, adds to the overall weight of the boat and it’s just a waste of money! 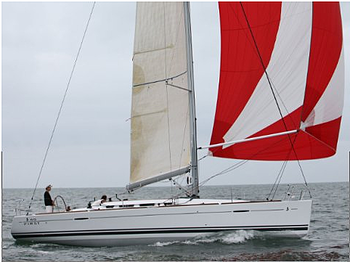 You have chafed through a sheet / halyard, on your holiday, and need an emergency replacement shipped to you. How long should your new line be? Standard sail-maker I.J.P.E. 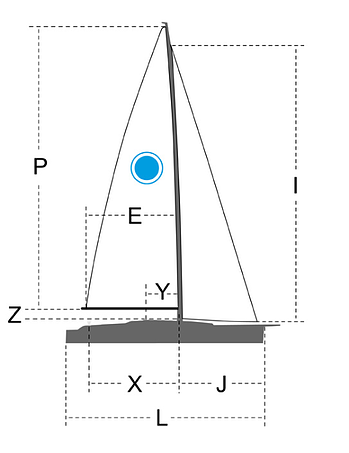 dimensions are usually the most commonly available data to work from. The following diagrams and formulas will then help calculate the most appropriate length for your ropes. Don’t worry, this isn’t complicated maths, or rocket science. However, please do bear in mind that these are measured in metres, thus all rope lengths (results) are defined as such. Most of these formulae add an extra one or two metres, which translates to a little more ‘extra rope’ as a ‘safety margin’. Rigging systems must have accurately measured and cut ropes to function properly. This then enables sheets to control and halyards to hoist sails efficiently. 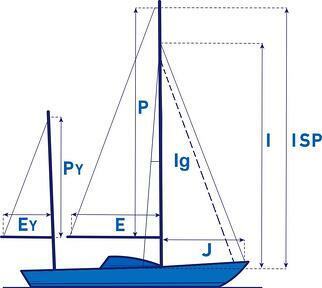 A general rule of thumb to calculating the length of halyards is to use the ‘vertical’ P / I measurements (height of the mast), while calculating the length of sheets then uses the ‘horizontal’ E / J, plus overall boat length.